When it gets really cold outside like it has been lately I don't want to even think about putting real pants on not to mention actually leave my house. A sweet follower on Instagram (follow me @PinkEinstein) asked me if I would write a post on my favorite movies and shows on Netflix and I thought now was the perfect time because it is supposed to be super cold where I live this weekend. 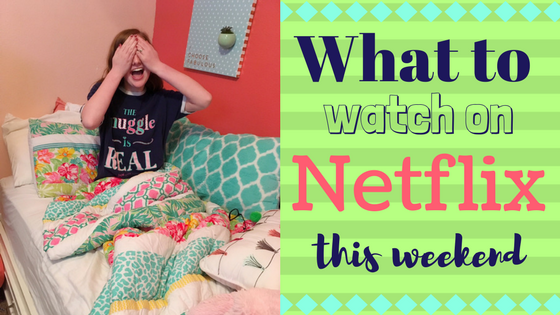 If you are like me and have no desire to get out of your pajamas and venture into the cold, read through this list, pop some popcorn, turn on Netflix, and don't leave your couch this weekend! Comment your favorite Netflix shows and movies below! I am in no way affiliated with Netflix and I was not paid to write this post.